I am always in the market for a new and improved pan. Probably because every pot and pan purchase we have made could not stand up to our families cooking demands. How many of you bought a pricey pan because it had some well-known persons face on it? Then after using it for a few months food starts to stick, no matter what you do? The pain start to chip and the coating peel. Well this is the story of my life. 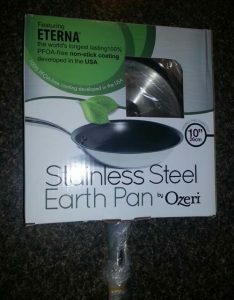 I was recently given the opportunity to review the Ozeri 8” Green Earth Textured Ceramic Nonstick Frying Pan. With my history of buying pots and pans and being very disappointed I thought this would be a great opportunity to try before I buy. The Ozeri 8” Green Earth Textured Ceramic Nonstick Frying Pan is 100-Percent PTFE and PFOA Free. 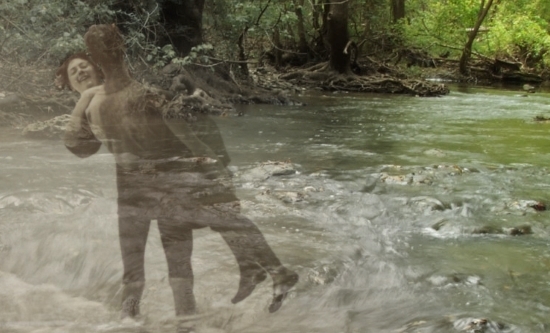 Which is great! Unlike other ceramic pans the Ozeri Green Earth Pan utilizes GREBLON – an ultra-safe ceramic coating from Germany which is 100% PTFE and PFOA free. and a magnetized induction stove safe base for rapid heat transfer. 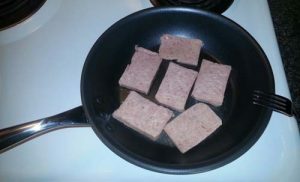 My test was frying Spam for lunch. Which is a task in my other pans because the Spam always sticks. To my surprise, it did not stick. 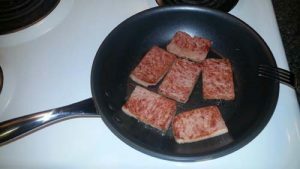 In fact I was able to slide the meat right off the pan with no sticking at all. 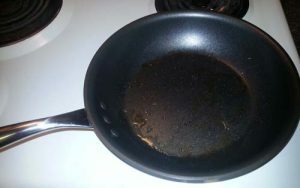 After I was done cooking I could simply wipe away all the remaining grease and residue in the pan with a paper towel! It was that simple. I am really impressed with the Ozeri 8” Green Earth Textured Ceramic Nonstick Frying Pan and use it every chance I get now. After 2 months of use, it still holds up as it did the first day. I have not had any issues with chipping, peeling or scratches at all. 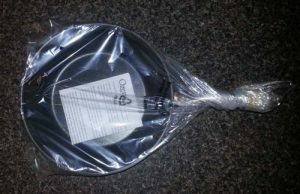 You can purchase your own Ozeri 8” Green Earth Textured Ceramic Nonstick Frying Pan from Amazon. 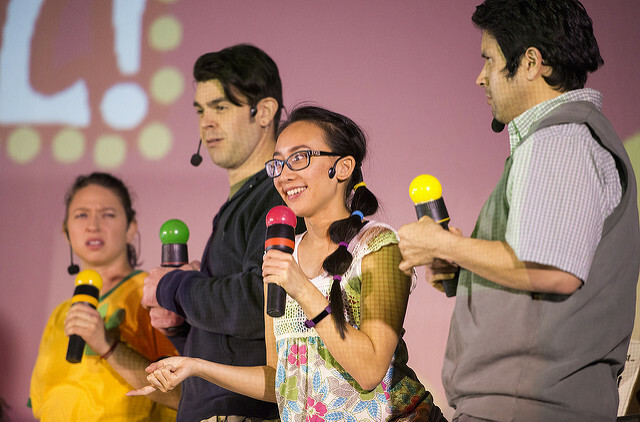 Visit the Ozeri Facebook page. 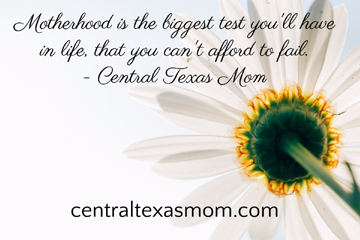 Disclosure / Disclaimer: No monetary compensation was obtained for this post. I received a complimentary product to facilitate this review. The opinions expressed here are mine and may differ from yours. 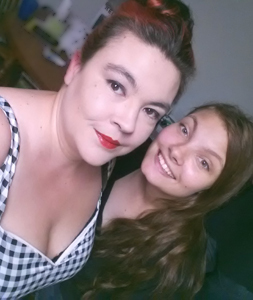 I am disclosing this in accordance with the Federal Trade Commision’s 16 CFR, Part 255: “Guides concerning the use of Endorsements and Testimonials in Advertising. 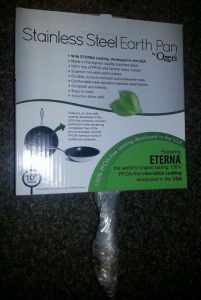 Hey Buddy!, I found this information for you: "Ozeri 8” Green Earth Textured Ceramic Nonstick Frying Pan Review". 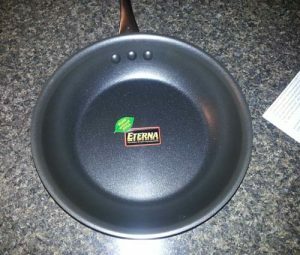 Here is the website link: http://centraltexasmom.com/ozeri-8-green-earth-textured-ceramic-nonstick-frying-pan-review/. Thank you.